The Valletta Forum is a Valletta 2018 Foundation initiative through which it reaches out to the community. This is primarily a platform of communications between Valletta 2018 and Valletta-based organisations. 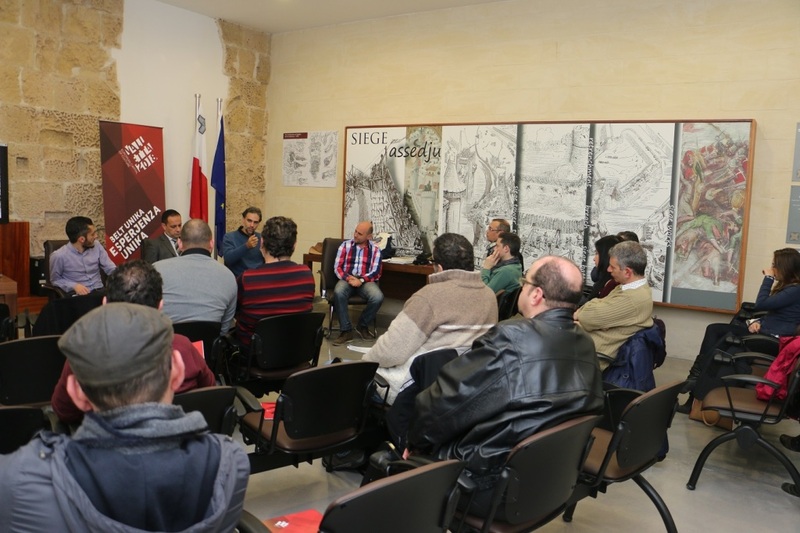 The third Valletta Forum meeting was held on Monday 23rd February at The Fortress Builders – Fortifications Interpretation Centre, in Valletta. All members of the Valletta Forum and Valletta Forum Facebook page were invited and a good number of people attended bringing interesting observations and input to the discussion although very few representatives of community organisations managed to make it. With reference to plans for a total refurbishment and state-of-the art extension of the St John’s Cathedral museum, Jason Micallef said this will result in a physical extension of the building in Merchant Street. Jason Micallef replied to various questions put forward by those present. People expressed concerns and thoughts about an array of issues affecting them as residents and the city in general, such as the upkeep of streets, the current “invasion” of Republic Street by teenagers, the access/transport systems from Marsamxett to City Centre, the possible upgrade of the Valletta underground, the management of the pigeon community, the problem with excessive pricing of Valletta property, and the safeguarding of traditional signage and shop facades. 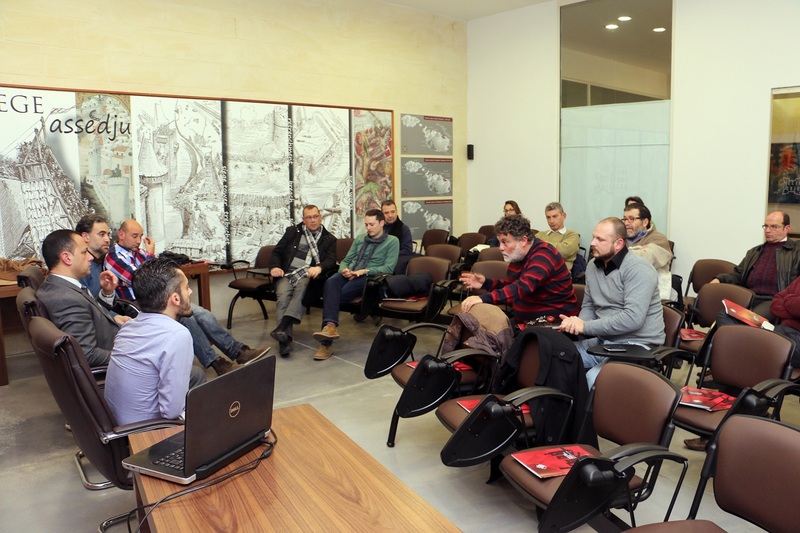 Caldon Mercieca, manager at the Culture Directorate and also the man responsible for the Valletta Design Cluster project at Biċċerija in Valletta, gave a thorough review of the same project. He explained how the idea originated and what the projected remits of the Valletta Design Cluster are. He noted the three different aspects relating to the project: the physical issues surrounding the Biċċerija project and the physical impact of the urban intervention; the social issues in the Biċċerija area and the potential social dimension of the proposed urban intervention and the wider social and physical issues that may be extrapolated from this urban intervention to other areas in Valletta and around Malta. Caldon Mercieca pointed out that the Directorate and the Valletta 2018 Foundation are meeting residents of il-Biċċerija who will be neighbours of people involved in the Valletta Design Cluster, for one-to-one chats. These discussions already resulted in the discovery of a collection of memories giving insight on previously unknown details, such as the female għanneja amongst the Biċċerija residents. Caldon Mercieca invited those present to engage in discussions about the project. He also encouraged Valletta residents who are remotely or actively involved and interested in design matters to get in touch and benefit from opportunities that the Valletta Design Cluster will be creating. Joseph Galea, author of the theatre work Kristu fi Strada Stretta which is being endorsed by the Valletta 2018 Foundation as part of the Valletta Forum events, also presented the work to the Forum. Joseph Galea described how the idea, the script and the setup for the play came about. He made reference to his research into various books that shed light on the lives and recent history of Strada Stretta. With regards to the endorsement provided by the Foundation, he highlighted the fact that featuring within the Valletta 2018 Cultural Calendar adds prestige to the production. Furthermore, the endorsement provided additional marketing and PR services through the Foundation’s network. For this to excel, the Foundation commissioned the design of a poster and flyer that follow the visual guidelines of the Valletta 2018 Foundation brand. On a community level, the Foundation requested that whenever wherever possible, the production team engages people from the Valletta community to act as an incentive for capacity building.